Download Reggie’s MMD DeckPanel when you just need a place to sit or stand! 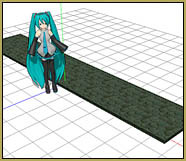 How can I use Reggie’s MMD Deckpanel accessory for my MikuMikudance animation? My motion starts with my model floating in mid-air! I need a place for my model to stand. when you just need a place to sit or stand! I know it’s a crazy thing… a simple piece of decking as a stage prop… but it comes in handy! The motion data I used for my latest little video, “Lucky”, had the MMD model sitting on a flight of stairs… only I didn’t use that original stage… so MY model was simply hanging in the air as if sitting on “invisible stairs”. So I used the Reggie’s DeckPanel that I had created to save myself from a similar issue back when I created my Smooth Criminal video. 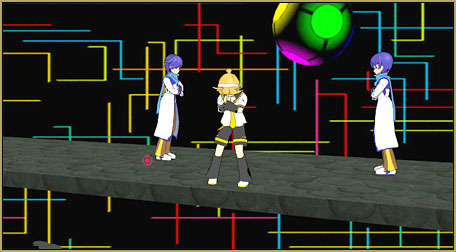 … In THAT one, the original animation called for the models to be dancing on the roof of a 7-Eleven store. Again I was using a different set… and so I created the DeckPanel accessory as a way to give my guys a place to dance. 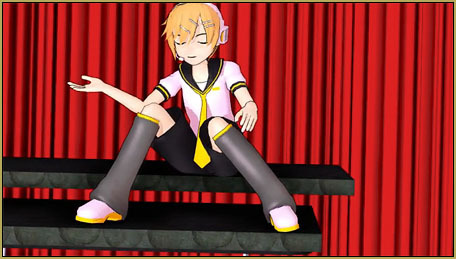 from the LearnMMD.com Downloads Page! USING Reggie’s DeckPanel is easy… once you load the .x accessory, you can adjust its size using the Si size parameter in the AMP… You can maneuver it into place as an accessory… or you can attach it to a Dummybone and move it as you wish. You can use its Display checkbox to make it invisible when it suits your needs. 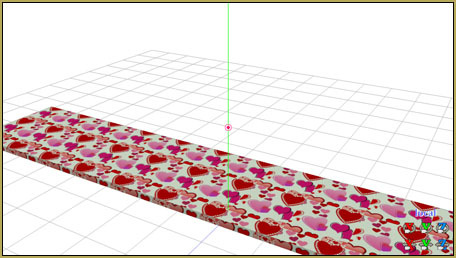 You can “repaint” the DeckPanel by by modifying the texture JPG file included in the download folder. Have fun with the DeckPanel!